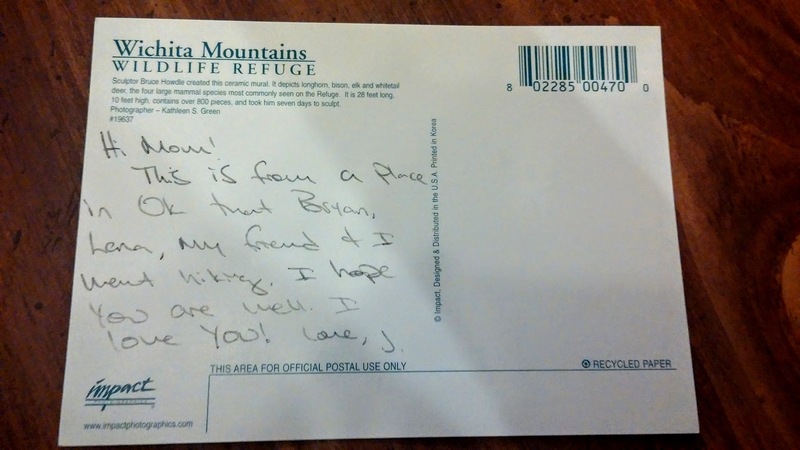 For my 29th day blogging challenge I had to send a post card to someone from Oklahoma, my home state, to anyone in the world. I chose my mommy! She is in California. 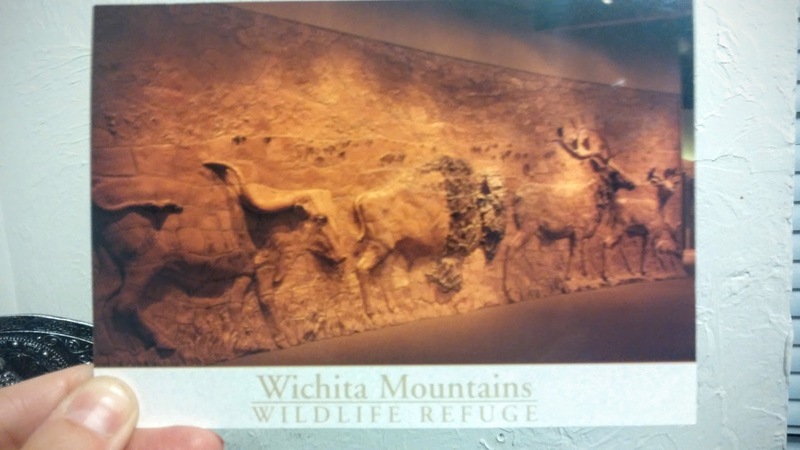 I picked this post card up during a recent 6 mile hike at the Wichita Mountains Wildlife Refuge near Lawton, OK.
Wichita Mountains post card to Mom!